Why the ScoliSMART Activity Suit? Reduces scoliosis-related pain and helps you get back to the activities you love! The ScoliSMART Activity Suit has been designed to create a resistance training effect on your spine. Each time you take a step, the suit activates muscles in your spine, which helps reprogram muscle firing and coordination. By triggering a response every time you take a step, your scoliosis and posture will improve and become more functional and stable. Often, when muscles coordinate better, patients experience better movement and less pain. Provides excellent support for lumbar spine and pelvic tilt/rotation. The ScoliSMART Activity Suit has been designed using careful analysis of body mechanics of patients with scoliosis and specifically engineered to provide two core functions. The ScoliSMART Activity Suit works best when you are being active. When sitting or standing for long periods of time, detach the TENSION BAND from the front of the VEST. Doing this when inactive will provide additional comfort while still continuing to support proper spine alignment. 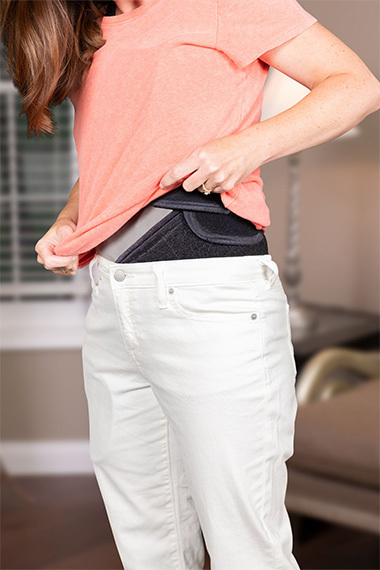 Your activity suit will provide all-day support and is perfect for sitting or standing in almost any situation. 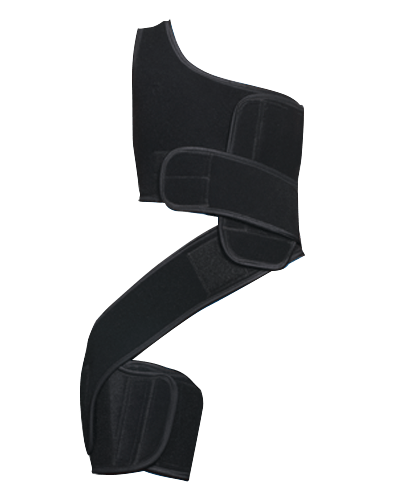 Unlike traditional scoliosis braces, it does not use rigid material for support and will therefore not cause dependency due to muscle weakening, which is a common side effect of wearing a traditional brace. When ACTIVE, attach the TENSION BAND; the suit creates a resistance training effect, which stimulates the muscles surrounding your curvature. Each time you take a step, the suit activates muscles in your spine, improving spinal stability and function. With every step, your scoliosis is getting a mini workout. Through continued use, your spine becomes stronger and movements easier, improving your posture and decreasing or eliminating pain. Find out What Patients Think! Want real opinions from real patients? Head over to our Scoliosis Warriors Facebook group and talk with people just like you who have benefited from the ScoliSMART Activity Suit. See real reviews or write your own! What Is the ScoliSMART Activity Suit? The patent-pending ScoliSMART Activity Suit is a lightweight neoprene support that works with your body's natural movements, creating new muscle memory while actively reducing and stabilizing adult scoliosis. Unlike rigid scoliosis braces, the ScoliSMART Activity Suit has been designed through advanced engineering and human biomechanical analysis in order to stimulate and engage deep-layer spinal muscles while you perform the normal activities of daily living. 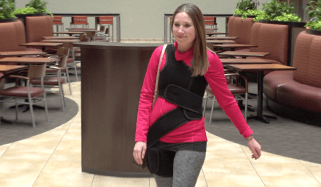 Research has demonstrated that adults who wore the activity suit for just a few hours daily for six months reported improved function, decreased pain, and measurable x-ray improvements. The ScoliSMART Activity Suit can be worn under or over clothing and enables tremendous freedom of normal movement, allowing you to experience excellent curve support without altering your routine. The ScoliSMART Activity Suit is easy to use, simple to put on accurately, requires little care maintenance, and is backed by a two-year manufacturer's warranty. Online - A simple application form will need to be approved before you can purchase your suit. All online orders are sized and ordered to your specifications by a ScoliSMART doctor to ensure proper fit and effectiveness. Online orders have an easy 10 day exchange policy and come with our 30 day money back guarantee. Fitting Centers - Make an appointment with the nearest Fitting Center and they will measure you and order the appropriate sizes to your specifications, in addition you will be able to try it on at the appointment. 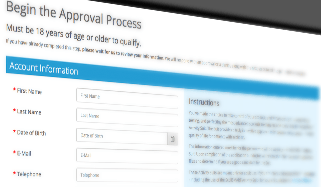 Getting approved starts with completing our application form where you provide measurements, current x-ray, a full-body image, and a copy of your driver’s license. 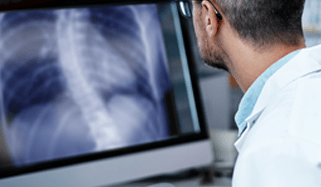 Each application and x-ray is evaluated by our doctors to determine if the activity suit is right for you. After the evaluation, a purchase approval is sent. When you receive approval, simply enter your payment or financing information and will send your custom-made to your door within 21 days! Pay quickly and securely with PayPal, credit card, or CareCredit after you have been approved. Prefer to try before you buy? We recommend visiting one of our qualified fitting centers for assistance with measurements, no-cost x-rays, and help submitting your order.